Protective cover guards against damage from inclement weather. Fits Reese, Draw-Tite and Hidden Hitch classic-style fifth-wheel trailer hitches. 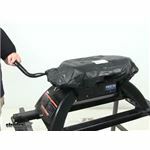 Call 800-298-8924 to order Reese accessories and parts part number RP30055 or order online at etrailer.com. Free expert support on all Reese products. Guaranteed Lowest Price and Fastest Shipping for Reese 5th Wheel Trailer Hitch Cover. Accessories and Parts reviews from real customers. 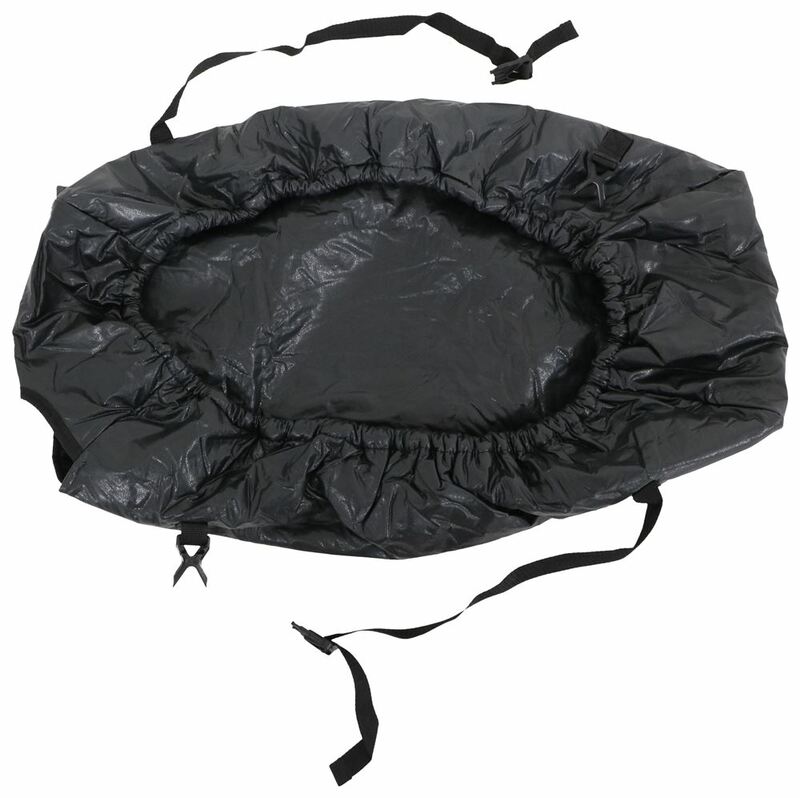 Protective cover guards against damage from inclement weather. 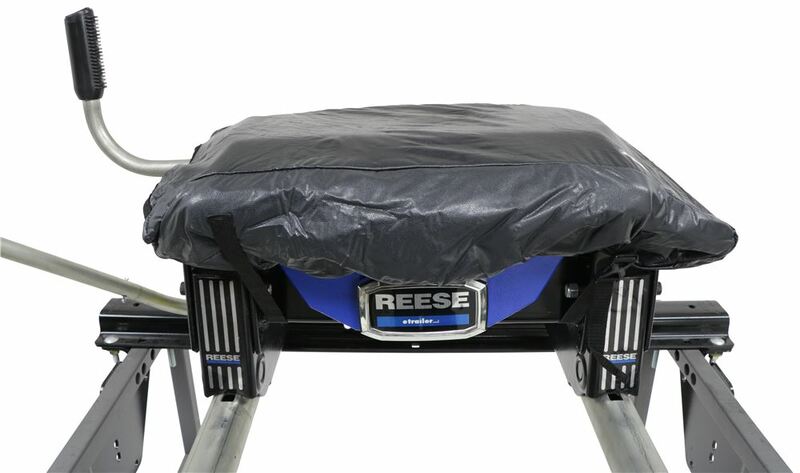 Fits Reese, Draw-Tite and Hidden Hitch classic-style fifth-wheel trailer hitches. Speaker 1: Today we're taking a look at the Reese fifth wheel trailer hitch cover. 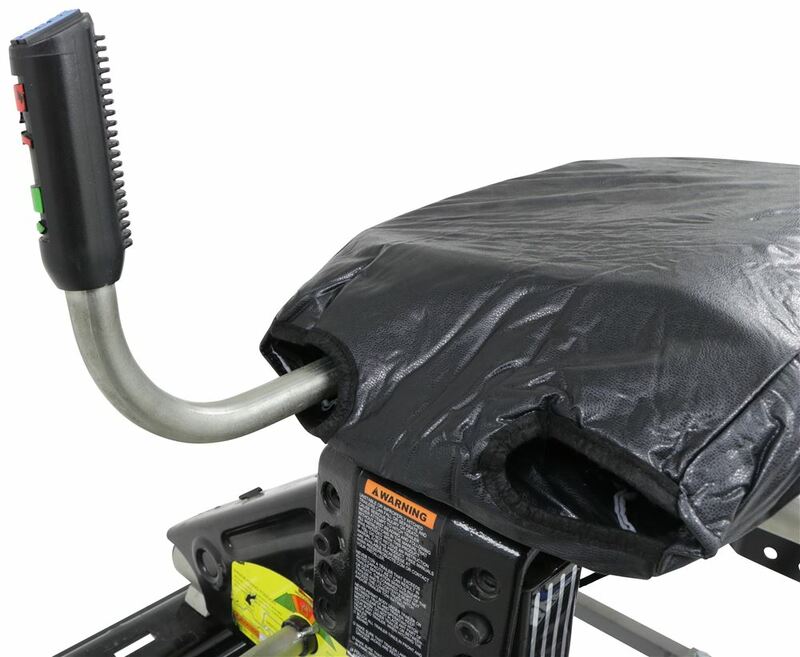 Now this cover is designed to protect your fifth wheel trailer hitch from the elements. This is great for use in the off season, or anytime your trailer isn't connected to your fifth wheel hitch. It's a universal design, so it is designed to fit most Reese, Draw-Tite, BMW, Curt, and hidden hitch classic style hitches. Now as you can tell it doesn't really cover up the area that goes down to our rails. This cover's really designed to just offer protection to the actual hitch head. It secures easily with the buckle system. So on each side of the unit we have a buckle and a strap. Connection point up here, and then over here at the back is another connection point, and a strap that goes under the hitch head, and you can buckle it and then pull out any slack to really tighten the cover around the hitch head. So it secures easily with the straps and buckles. Also it has the elastic hem right here, which once it's over it closes together, creates that nice tight fit around the hitch head.So we're gonna take it off and then I'll show you how to install it. Before I do that I do want to point out that over on this side we have two holes, and these holes allow the handle to come out without interfering with the fit at all. So this is our fifth wheel hitch. And it's really easy to apply the cover. The cover has really nice padding to it. It's built with high quality materials so you don't have to worry about any type of damaging from the suns harsh UV rays. So basically what you do is you take it and you line up one of the holes, feed your handle through, and then you just stretch it out a little bit, place it over your hitch head, get it to fit the way you want it. And then we're just gonna take our strap, bring it through, tighten that down, and then we do the same thing for this side. Then you just pull out any slack. And that's all there is to it. The products also covered with a limited lifetime warranty.That's gonna do it for today's look at the Reese fifth wheel trailer hitch cover..
Order: RelevanceNewestRating - High to LowRating - Low to High Protective cover guards against damage from inclement weather. Fits Reese, Draw-Tite and Hidden Hitch classic-style fifth-wheel trailer hitches. the hole where the slider handle goes through needs to be cut a little longer. When the cover is on it tends to wrinkle up because of the handle hole to short. Will this work with a slider also? Yes it will work with a slider also. Since this product only covers the fifth wheel head the sliding action of the feet of the hitch will not interfere with the cover. The third photo actually shows this on a slider. The Reese 5th Wheel Trailer Hitch Cover you referred to, part # RP30055 will fit a 5th wheel hitch head that's up to 18 x 28 inches, which should be perfect for your B & W Companion. The Reese 5th Wheel Trailer Hitch Cover # RP30055 is a great option for a cover that will fit the head of the B&W Companion 20K # BWRVK3300. 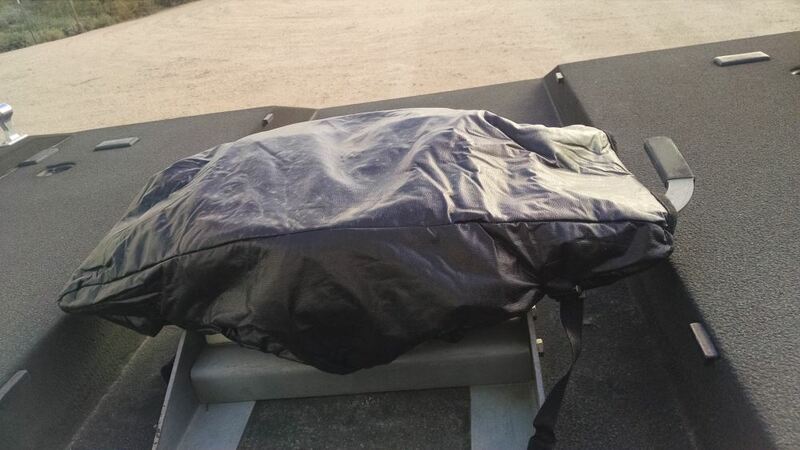 If you are looking for something that more or less drapes over the hitch then I recommend going with the Classic Accessories Cover for 5th Wheel Trailer Hitch # CA80116. It measures 24" x 24" x 18" so it might not completely cover your B&W Companion, but it will be close. The Reese 5th Wheel Trailer Hitch Cover # RP30055 should have no problem fitting the head of your B&W Companion Slider # BWRVK3400. The only fifth wheel hitches this cover doesn't fit are the ones that have larger heads like the Elite hitches. The Companion has a smaller head so this would work just fine. The only cover we have that would fit a B and W Companion part # BWRVK3500 would be a cover for just the head of the hitch like part # RP30055. The base of the Companion hitches is pretty large so the # CA80116 would not fit over it. For a fifth-wheel hitch cover to fit your Reese 18K 5th Wheel hitch, I would recommend the Classic Accessories 5th Wheel Trailer Hitch cover, part # CA80116, which is Black. We test fit this cover on an Elite hitch and it covered the head perfectly but there was a portion of the legs it did not cover. The Reese 5th Wheel Trailer Hitch Cover, part # RP30055 , is not designed for the Elite Series hitches. There isn't a cover specifically for the B&W Companion 5th wheel trailer hitches. You would have to go by the measurements of the covers we have to determine fit. Cover # RP30055 measures 18 inches by 38 inches. Cover # CA80116 measures 24 x 24 x 18 inches. Cover # DM14844 is designed specifically for Demco hitches and would not be a good match. One of the other 2 covers could work but may not provide the best fit and would not cover the entire hitch. Yes we do, the Reese 5th Wheel Trailer Hitch Cover # RP30055 would fit a Husky Silver Series 26K W 5th Wheel Trailer Hitch # HT31318-31325 and work well. The Reese 5th Wheel Trailer Hitch Cover, # RP30055, will fit a 15k hitch and a 20k hitch, so there should not be any fit issue with a 16k hitch. To verify, you can take some measurements and compare them to the cover which measures 18 inches long and 28 inches across. 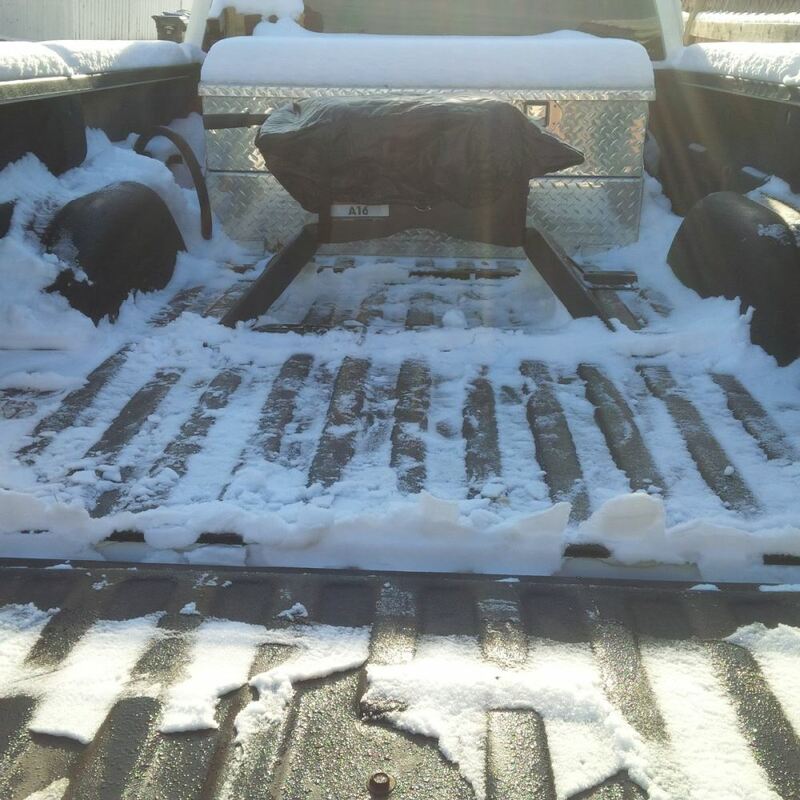 The cover is designed to cover the hitch head and not necessarily the base or legs. Take a look at the third and fourth pictures on the product page. After checking the dimensions of the Hensley BD3 and comparing them to the Reese 5th Wheel Trailer Hitch Cover, # RP30055, I have come to the conclusion that the cover should fit. 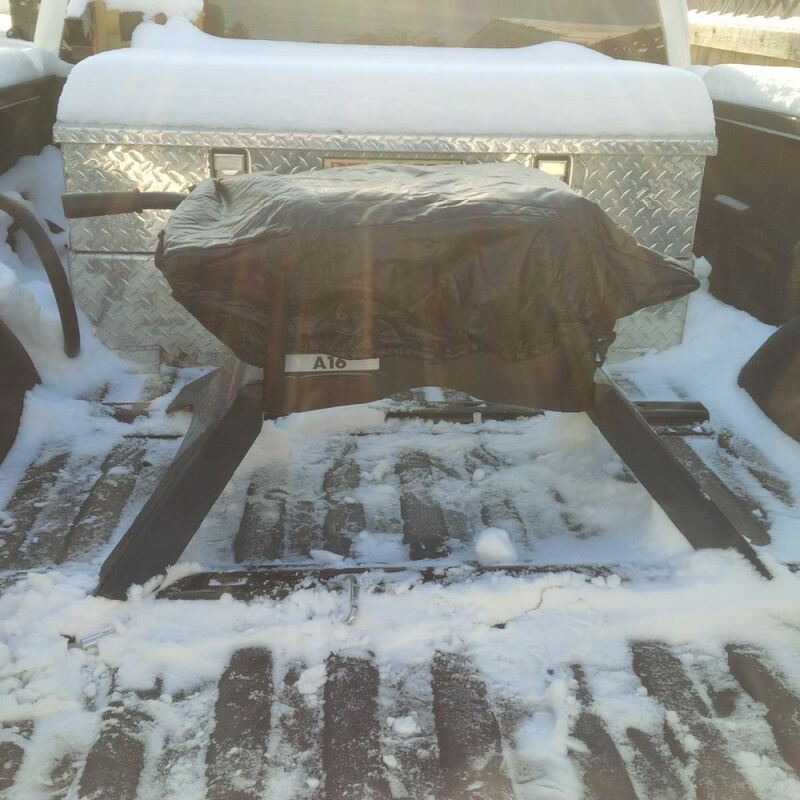 The cover itself is designed to fit around the head of the hitch. 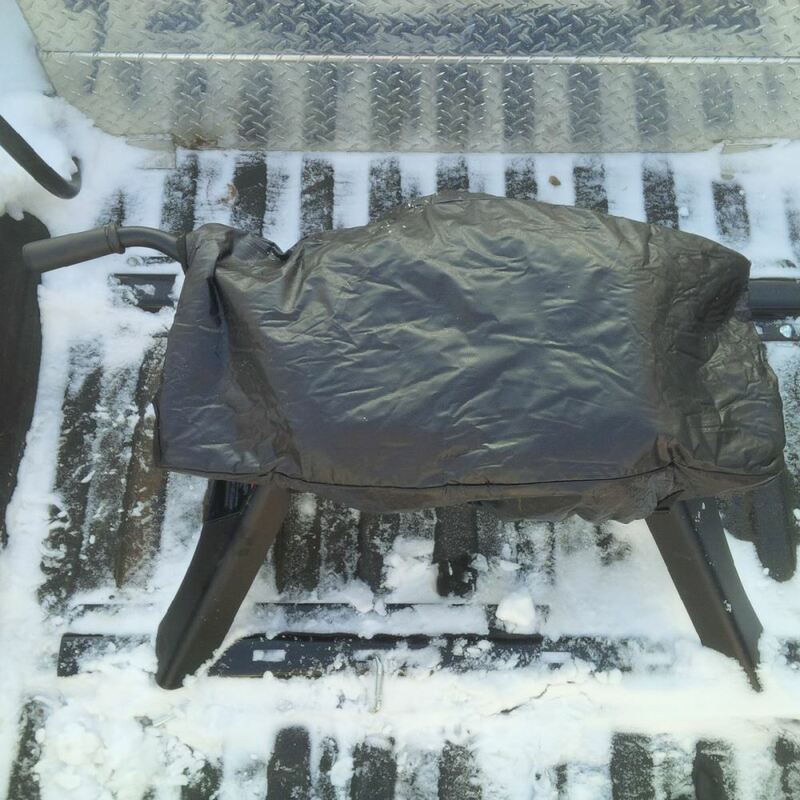 The cover is 8 inches deep and judging from pictures of your hitch I found online, the straps should be able to go around the hitch body to secure the cover to the hitch head. It does sound like the hitch needs to be lubricated. You can lubricate the moving parts with automotive chassis grease or a white lithium grease such as # L11350. There are also white lithium grease sprays that you could use. After lubricating the hitch you should actuate the handle a few times so the grease gets in the nooks and crannies. You could then use hitch head cover # RP30055 to help keep out moisture and dust/dirt when not using the hitch. There are no custom-fit covers offered for your B&W 5th wheel hitch # BWRVK3600 which measures 43 x 34 x 19; I checked with B&W to confirm. 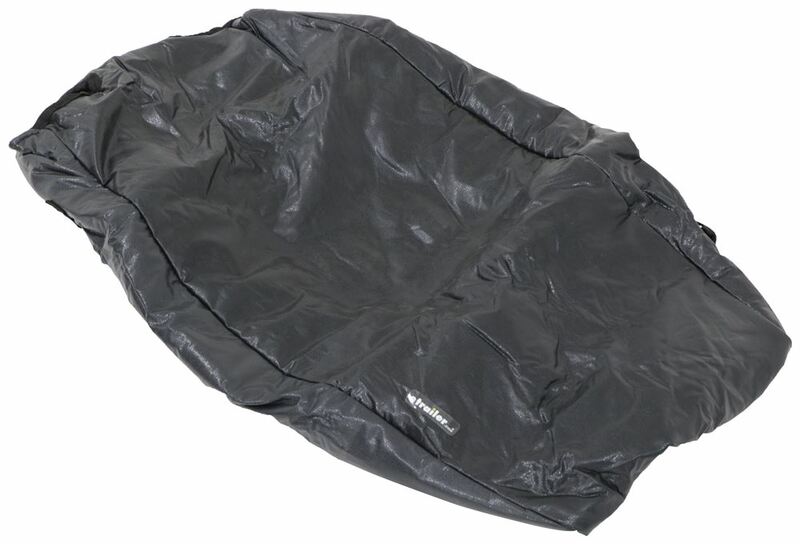 But we do offer a universal-fit cover from Reese that measures 28 x 18 when in its relaxed state, part # RP30055. 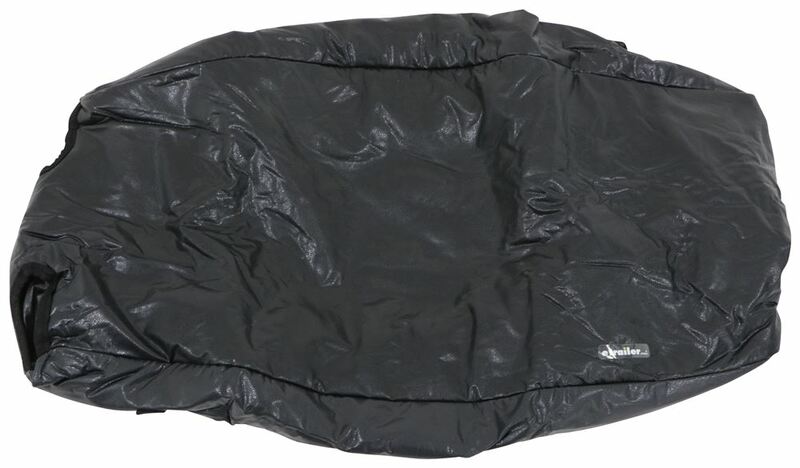 We also have a Classic Accessories cover # CA80116 that measures 24 x 24 x18. Neither of these will stretch to cover the entire B&W hitch and base but either of them will cover the hitch head portion. 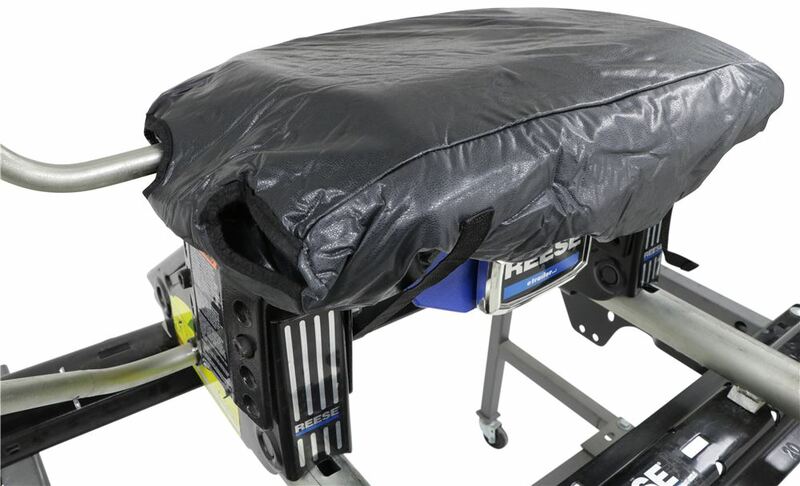 Yes, the Reese 5th Wheel Cover should fit just fine on a Reese Pro-Series 15K hitch like part # PS30094. This Fifth Wheel Hitch Cover will fit any Reese, Draw-Tite or Hidden Hitch Classic style fifth wheels like part # RP30047. I also tested it on some of the newer fifth wheels and it will also fit the Signature Series style. Un-stretched and laid flat, it measures 28 inches by 18 inches. The Reese 5th Wheel Trailer Hitch Cover # RP30055 should have no problem fitting the head of your Curt 20K Fifth Wheel Hitch. The only fifth wheel hitches this cover doesn't fit are the ones that have larger heads like the Elite hitches. The Curt 20K Hitch has a smaller head so this would work just fine. Another option would be the Classic Accessories Cover, part # CA80116. This cover also fits just fine over a 20K fifth wheel trailer hitch. I recommend the Reese Fifth Wheel Hitch Cover part # RP30055, which you referenced. This Fifth Wheel Hitch Cover will fit any Reese, Draw-Tite or Hidden Hitch Classic style fifth wheels like part # RP30047. We tested this cover on some of the newer fifth wheels and it will also fit the Signature Series style. Un-stretched and laid flat, it measures 28 inches by 18 inches. See the picture which shows the dimensions of the cover at right. The Reese 5th Wheel Trailer Hitch Cover, # RP30055, should fit your Reese 5th Wheel Trailer Hitch, # RP30081. To verify, you can measure your hitch. As long as it is 28 inches wide or less and 18 inches deep or less, the cover will fit. We do have some 5th wheel hitch covers that you could potentially use. First we have # RP30055 which is designed to cover just the head of the hitch. It is 18 inches by 28 inches. And we have cover # CA80116. This cover is meant to cover the whole hitch. It is 18 inches tall 24 inches long and 24 inches wide (at the base). 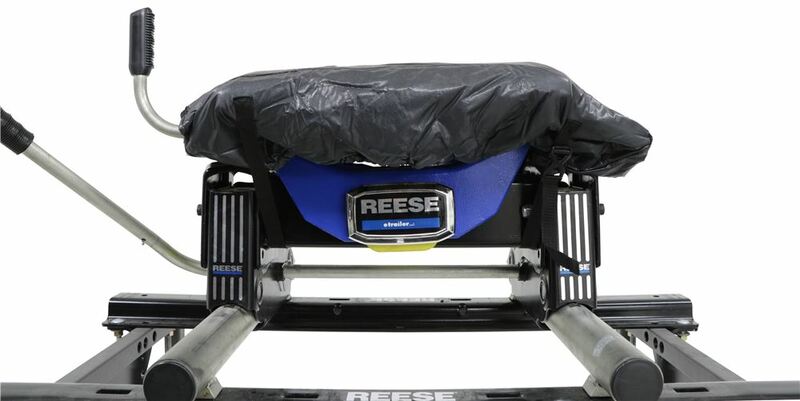 The best option for a cover for your Reese Elite Series 5th wheel hitch is going to be Classic Accessories cover # CA80116 but even it only covers the head. This cover measures 24 inches side to side, 24 inches front to back (at the base), and 18 inches tall. The only other cover we have just goes over the head # RP30055 and it does not fit the Elite Series hitches. 5th wheel hitch cover # RP30055 should just fit your Draw-Tite 5th wheel hitch. The side to side measurement is 28 inches on the cover but since your hitch is 14 inches front to back there will be enough slack to compensate for that 1 inch difference between the cover's width and the hitch's width. If the fifth wheel hitch you have in your truck is a Reese, I recommend part # RP30055. This cover measures 18 X 28 inches. 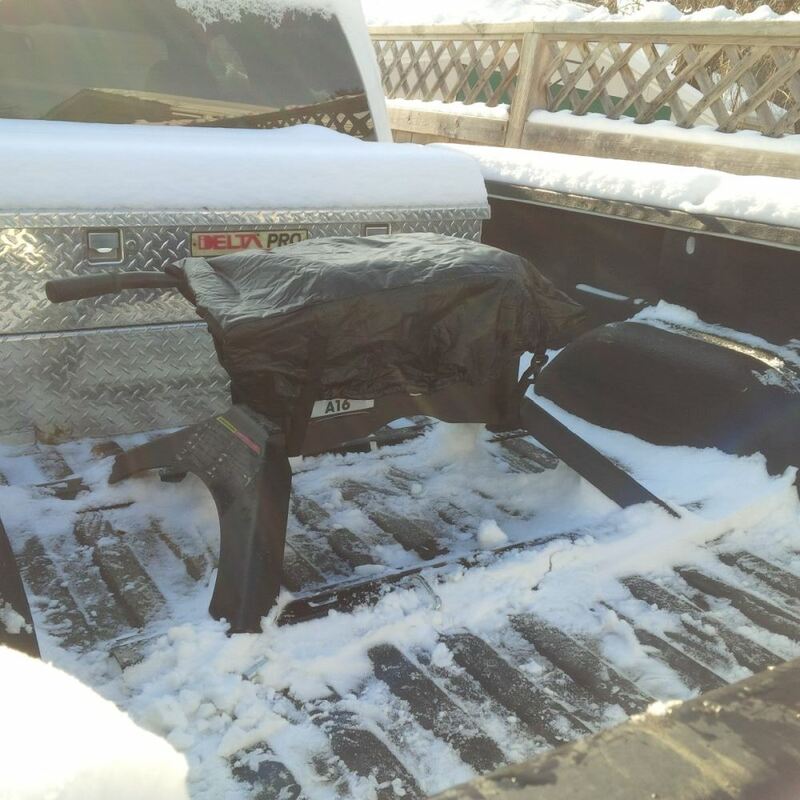 The cover itself is designed to fit around the head of the hitch. 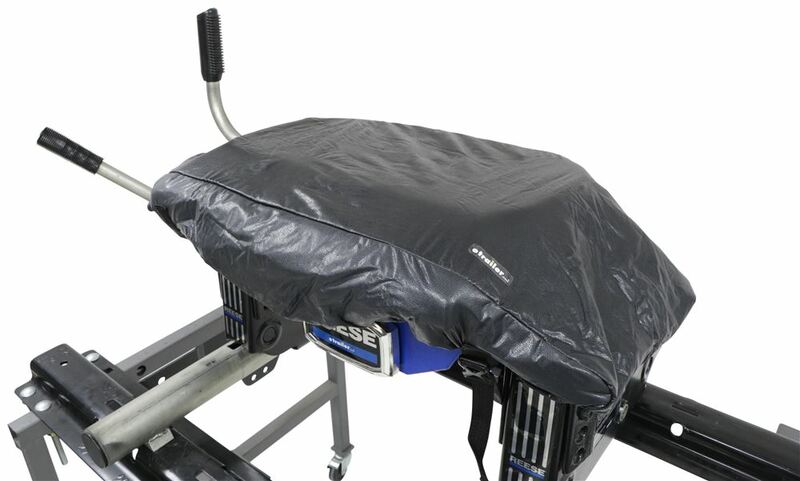 The straps are designed to go around the body of the hitch and hold the cover in place. With cover # RP30055 you would be able to cover the head of hitch # RP30055 but not the entire hitch. We have a larger cover that could work, # CA80116. It measures 24 inches long by 24 inches wide by 18 inches tall. One of the Classic Accessories covers would offer the most coverage. 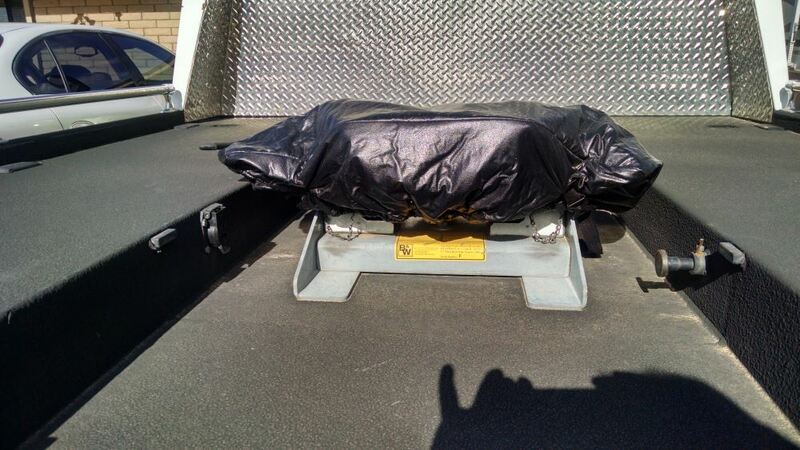 The best cover for you will really depend on the size of the footprint your hitch takes up. We offer two fifth wheel hitch covers that could work for you. The Reese # RP30055 you referred to fits hitches with a footprint up to 18 x 28 inches. The Classic Accessories 5th wheel hitch cover, part # CA80116 covers hitches up to 18 inches tall and a footprint up to 24 x 24 inches. The Reese hitch cover part # RP30055 that you referenced would work great on your Reese Titan 20 Hitch part # RP30867.